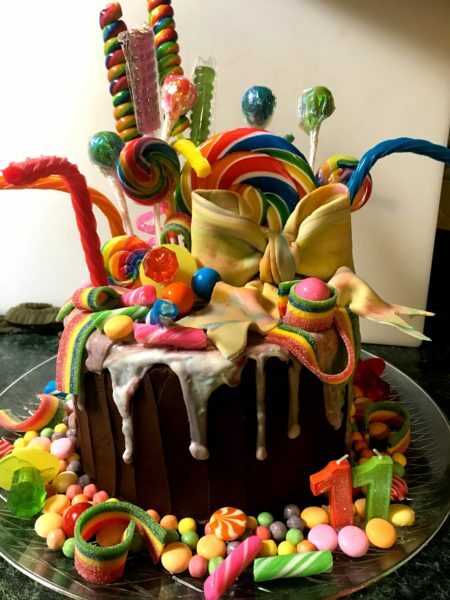 I made this cake for a 11 year old girl. 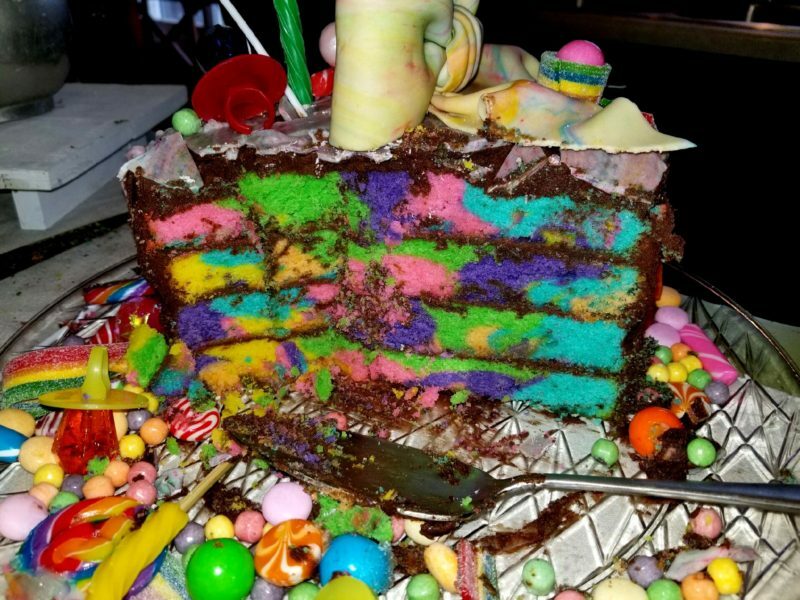 The birthday girl LOVED her cake…and so did her friends. 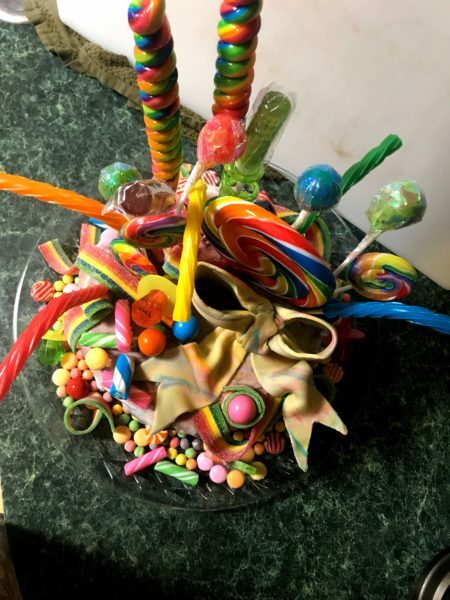 The cake was topped with many different candies using clear piping gel as glue. 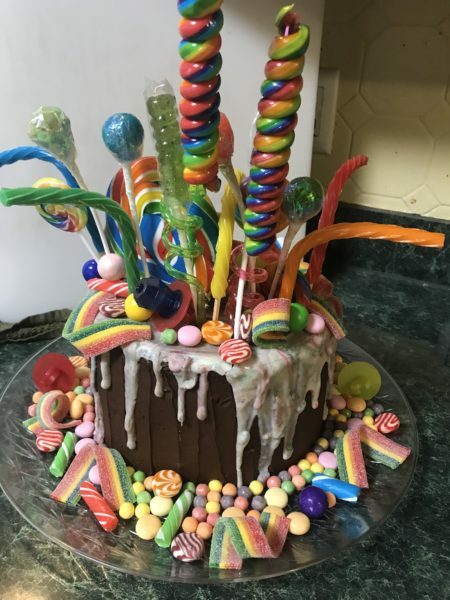 I used bamboo skewers for the Twizzlers and of course the sticks already on the lollipops were very helpful. I smothered the cake with homemade chocolate buttercream frosting because that is the birthday girls favorite (vanilla buttercream would really make the colors pop.) 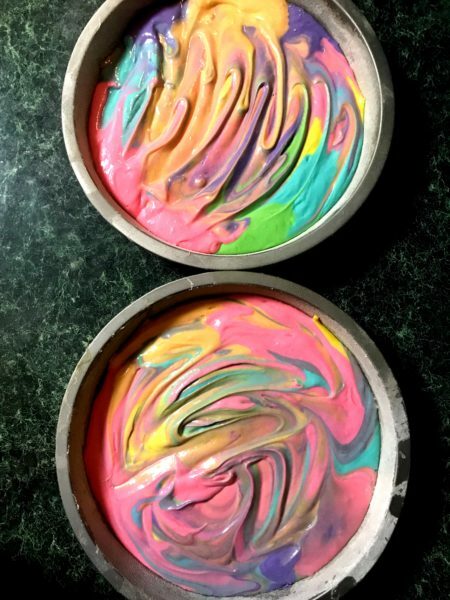 I dyed the homemade batter using gel food dye. 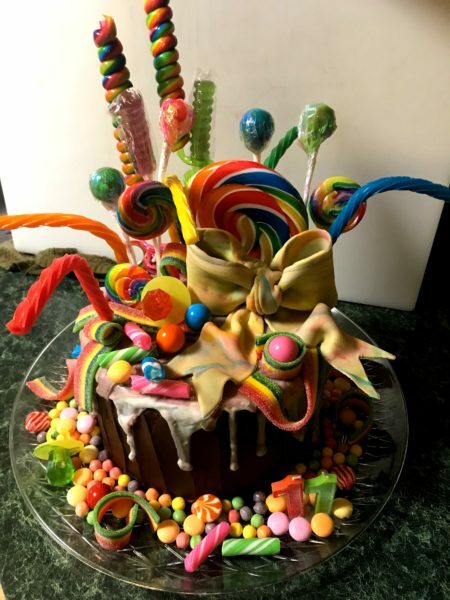 Give this “candy cake creation” a try the next time you want to WOW the birthday person.